In this modern age, detergents are part of our daily life. They are used for purposes that varied from cleaning ourselves (soaps, shampoo etc.) and clothes (laundry detergents) to washing of our houses and commodities (dish detergents) we use. Like the best business opportunities available for other businesses in Dubai, one can easily find a profitable business in the form of manufacturing or supplying of detergents. Dubai is home to expats and tourists. People from all around the world are living in Dubai as expats and tourists visit Dubai at every time of the year. It makes Dubai a modern city where everyone wants to remain clean while hotels, apartments and other buildings are kept clean on daily basis. These factors increase the demand of detergents in Dubai. 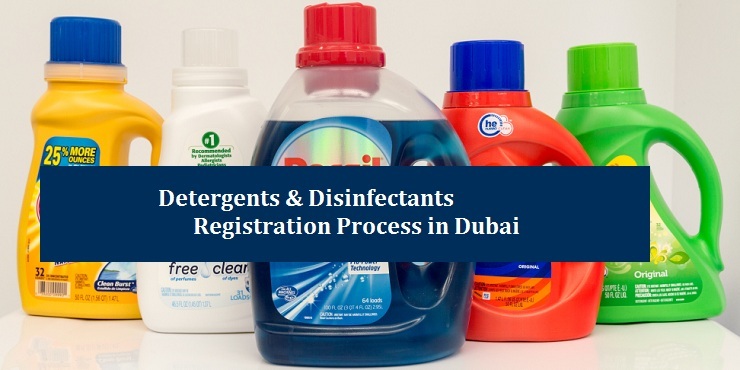 It is clear that business related to detergents has much scope in Dubai but there is a complete procedure for registration of any business in Dubai including the business related to detergents. Any organization or company that wants to import, supply or manufacture detergents and disinfectants in Dubai has to go through a registration process conducted by Dubai Municipality (DM). The purpose of this registration process is to check the detergents and disinfections that they are according to the health and safety standards set by Dubai government. According to the terms defined by DM, Detergents & Disinfectant Companies in UAE are related to business of detergents and disinfectants. Detergent products are used for cleaning and washing purposes and they can be used in the form of soaps, powder, liquid, bar etc. Disinfectant is any anti-microbial product used to kill microorganisms from non-living materials to prevent infection. Another material is antiseptic that is used in these detergents. Antiseptics are also meant to provide defense against infections by reducing number of harmful microorganisms. The first step is to use e-form from DM’s official site to register the company. There is a specified fee for this service which has to be paid. Now upload image of the detergent/disinfectant on the e-form. This image must be in JPEG format with 6-dimension, high resolution and light color background. Attach copies of all the required documents with the application, and send it for registration. After receiving the application, DM will issue the assessment report at due time. If there is no remark on the report then the detergent/ disinfectant is valid for 2 years. In case of any remark on the report, then this detergent/ disinfectant is valid only for 6 months. Application status can be checked electronically and the scanned copy or the original copy is available soon after the issuance of report. Thank you for the detail article on detergents and disinfectants registration process.